Steampunk you say? What’s that? For those of you in the know you will be well aware of what it is and that it has been around for some time, for the rest you’ll probably think it’s brand new. However once you’ve read this article you’ll be enlightened with this vastly growing trend that has so far been out of the spotlight. So in a nutshell, what is it? Steampunk is a blend of new technology with a vintage and quirky appearance. So as an example think modern day robotics with an appearance of brass gear cogs and clockwork. In fact one way to put it is almost “mad scientist-ish”. 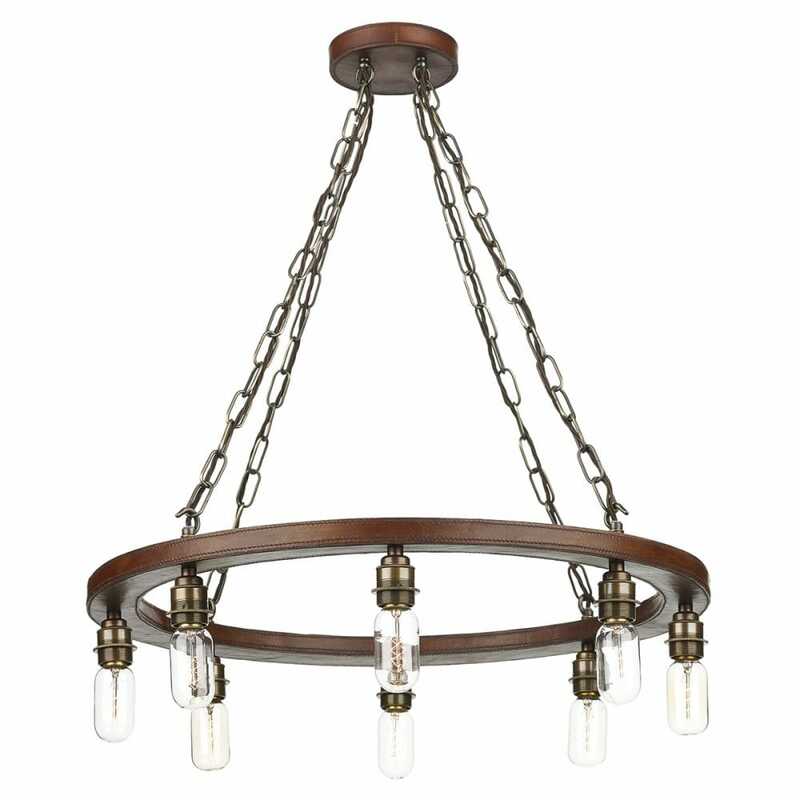 In this trend you’ll see repeated materials consisting of brass, wood, glass, leather, copper and vintage bulbs. 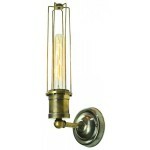 Often they will use pipes, valves, clockwork and taps as this trend is heavily nautical and mechanical themed. Going by this information many of you may now be thinking “I’m sure I’ve seen this before” or “that sounds familiar” and you’d be right! This trend has appeared in many places from films such as Mad Max and even Harry Potter, to big title video games such as Bioshock. You could even now be thinking “I know this trend! I just didn’t know it had a name!” which is exactly what I thought when I first heard about it. Steampunk is often linked to clothing design and robotics but it is so much more than that. It’s so brilliantly portrayed in lighting due to the use of unique and vintage bulbs and has the ability of changing the time set of an entire room. There are many different designs but all have much in common and will be easily identified as Steampunk. This trend can fit well into any vintage or rustic setting, they’re also great decorative pieces for those who just love the unique and creative look. Now although you may love this look, you may be thinking that it’s far too much. Worry not, there are indeed wacky and extravagant lights from this theme but there are some toned down ones sticking to the Steampunk trend. No matter the environment Steampunk can be incorporated. 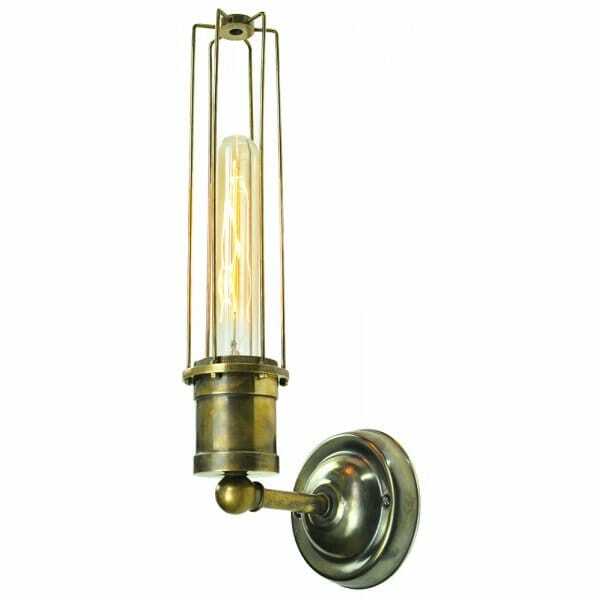 There are many simpler and more toned down steam punk lights whilst retaining the high quality and craftsmanship allowing them to fit into any home, these can be as plain and simple as a nautical light or cage lantern. 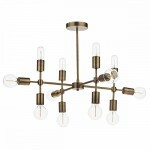 This goes for all style lights from table lamps and floor lamps to wall lights and chandeliers. Take a look at the images below for some great examples. Which rooms are best suited to Steampunk? Any room can be redesigned in Steampunk, however bathrooms and kitchens relish in it. It’s easy to see why when the trend very often shows pipework. 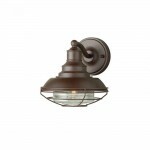 Given its nautical appearance it’s also easy to incorporate on the exterior of the house. Bulkheads and lanterns are great examples. 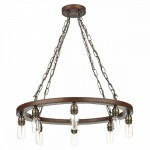 Don’t forget to use vintage bulbs with Steampunk style lights, it really does complete the effect! It would be a shame to let a standard or modernized bulb break the immersion. 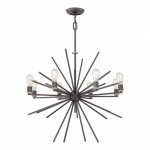 This would be an ideal feature light in this setting and would be the focal point of the room. Think over table or long drop stairwell. There are plenty of unique Steampunk designs each giving an equal impact. Find something that appeals to you and fits the purpose. 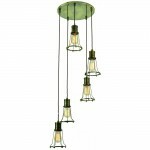 Browse through our entire collection of Steampunk inspired lighting here! Steampunk Lighting. Next → Next post: Get Winter Worthy!